My perfect day begins late enough, with a visit to Greenwoods tearooms on Singel. Here I get a little taste of home with a traditional Irish breakfast, full of bacon, sausage and other things that are wonderfully bad for you, as well as their range of quality black teas. From Singel it's only a short stroll through my favourite part of Amsterdam, the Jordaan, to visit the galleries and see what new exhibits are to be found. 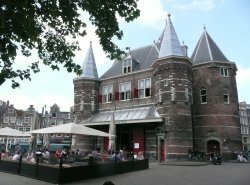 Ten Haaf Projects on Laurierstraat is a firm favorite with its varied ensemble of mixed media artists, both Dutch and international. 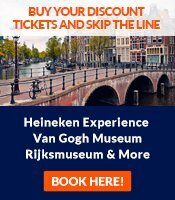 If there's a new show in Foam, the photography museum at Keizersgracht 609, then out of all things to do in Amsterdam I have to go have a look. Once I'm done with the highbrow portion of my day, it's time to indulge my hunger for pop culture. Strolling or cycling to Nieuwmarkt lets me pop into Henk Lie's comic and manga store on the corner of Zeedijk to see if there are any graphic novels crying out to be bought. Or simply to debate if I'm feeling rich enough to spend some of my hard earned cash on a 12 inch vinyl model of Han Solo. For more practical uses of vinyl I may wander down the steps of Record Friend on Sint Antoniesbreestraat to spend some time flipping through one of the best collections of music in the city. If it's a nice day, one of my favorite things to do in Amsterdam is stop on one of the many terraces of Nieumarkt for something cool to drink and watch the world go by. 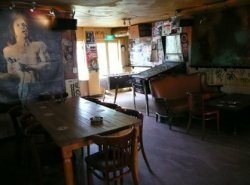 Hill Street Blues on the Market is an offshoot of the original Hill Street Blues coffeeshop on Warmeostraat, and a favorite terrace for me. Lunch might be spent sharing the Rat Pack Platter with friends in Café 't Spui which can be found, unsurprisingly, on Spui. If I'm on the move, however, I'll stop in to Hartenkaas on Reestraat, home to the self-proclaimed best sandwiches in Amsterdam and more types of cheese than you can shake a stick at. Hopping back on my bike, I might catch the free ferry from behind Centraal Station to find some things to do in Amsterdam Noord, like to go cycling through the trees of Vliegenbos. Camping Vliegenbos, where I stayed the first time I was in Amsterdam and would heartily recommend, is here and their shop is a great place to pick up some cold drinks or picnic supplies before exploring the woods. For dinner, the Oranjerie on Binnen Oranjestraat has a great little kitchen that opens in the evening to serve some of the nicest food in Amsterdam, including a chicken super-satay that will knock your socks off. Barney's Uptown on Haarlemmerstraat is another favorite, serving a tasty burger and some impressive cocktails to start the night off. Hitting the town at night for me means a visit to Café Soundgarden on Marnixstraat. Alternative music, pinpall, pool and well-priced beer always put me in a party mood. For some variety I might visit the more punk themed Café the Minds on Spuistraat to listen to angry American bands and stare at all the crazy stuff on the walls over my pint. Generally after this I'm happy to cycle home with the slightly fuzzy knowledge that the Amsterdam I love, in all its ragtag splendor, will be there in the morning for me to do it all over again. 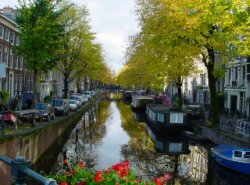 Also find out about Amsterdam Advisor authors Arjen's and Georgeta's favorite things to do in Amsterdam.